It was the season opener and the rain held off all day. The racing was fast and furious, Jammie was in fine voice aided by Maddy Robinson, and The Grange sold every scrap of food they had. 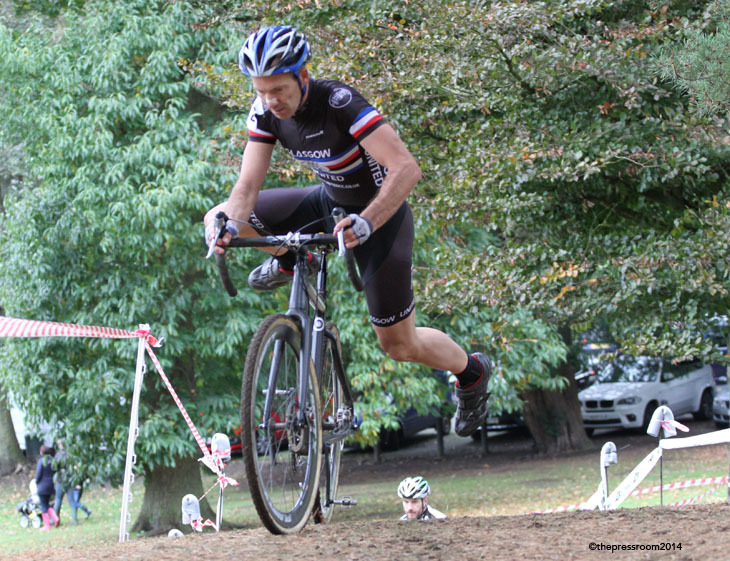 It could only be cyclocross and our man in the field, the Great McComisky, found time between races to cast his experienced eye over proceedings. 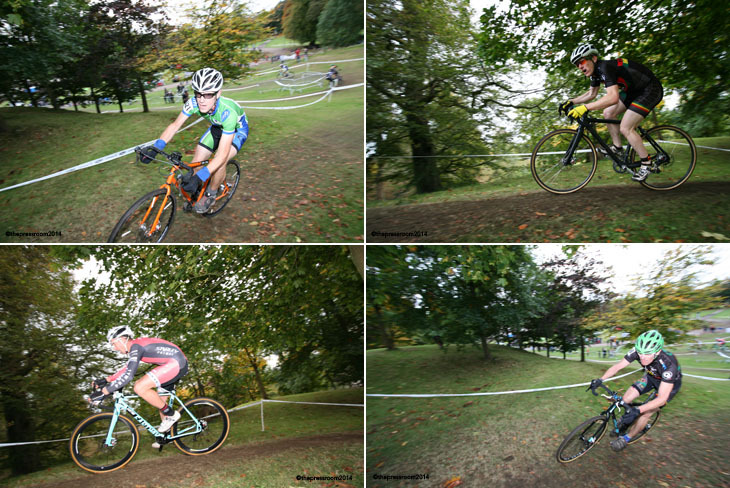 Round One of the Ridley Scottish Cyclocross Series ensconced itself to the already autumnal and very picturesque setting of Callendar Park last weekend (Oct 5th). Event organisers Franco Porco and David Lines, with the help of a strong support team, put on an incredibly fast and exciting course, with many additions to the previous year’s event, which featured switchbacks and drops, swoops and slick turns taking in the natural landscape of the Falkirk venue. These features were mated with the new-for-2014 Ridley Steps which offered the riders the choice of running or in some cases riding the feature. 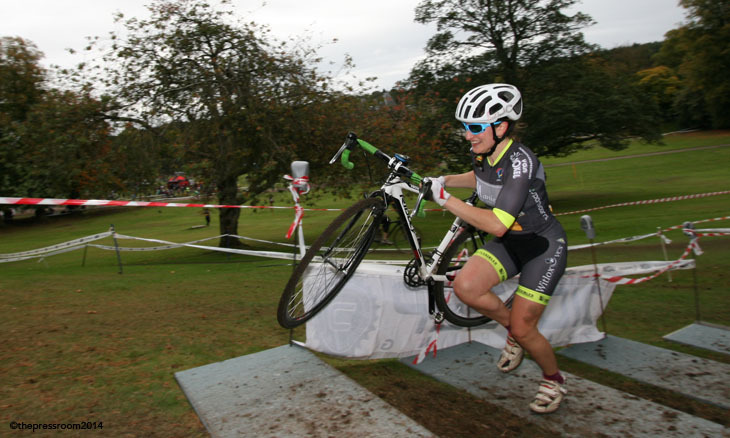 Before the racing had even started in earnest, the organisers were proud to announce that a record breaking field of 469 riders, 89 of them female, had signed up for this Scottish Series event. 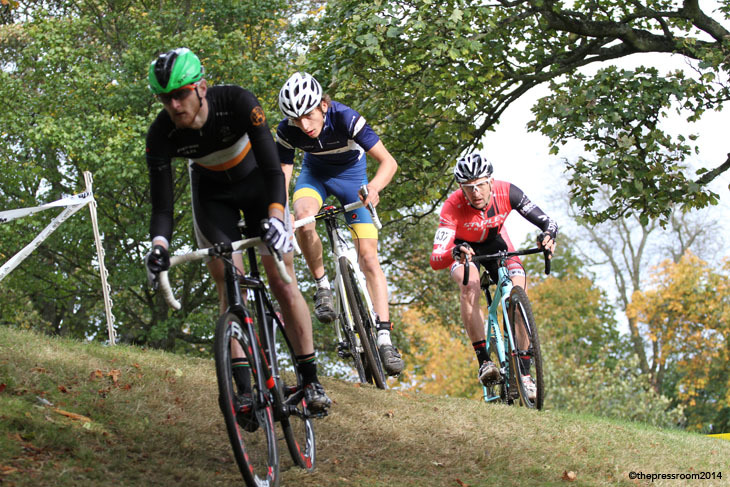 The course held up well despite some overnight rain, and the scene was set for a race and venue that is more than capable of putting on British National and indeed International events in the future. In the Senior event, World Cup Mountain biker Rab Wardell (OrangeMonkey Pro Team) was soon at the thick end of the proceedings, along with event organiser Lines (Starley Primal); this pairing put the hammer down early on to shake off the attentions of an impressive Jack Ravenscroft (Team Thomson Cycles) and a fast starting Callum MacGowan (Alpine Bikes). The full-out riding of Wardell and Lines looked set to go down to a sprint finish in the sixty minute race until Lines un-shipped his chain on one of the many technical features and despite raucous support from his home crowd, was unable to make inroads to the on-form Wardell. 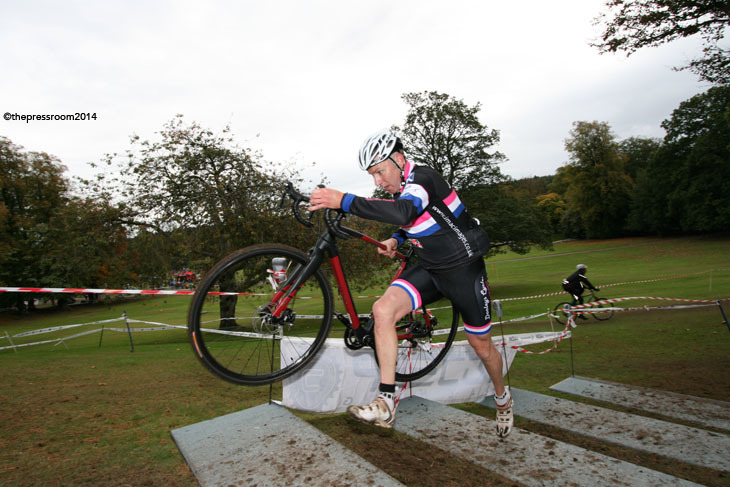 Behind all this drama Ravenscroft secured the last step of the podium despite a mid-race collision. The fourth rider home saw a welcome return for James McCallum (NFTO Pro Cycling) who is sure to feature strongly in the upcoming series events this year. The Veteran 40 class had the strongest field of the day with one hundred and ten riders taking to the grid, which included reigning Ridley Series Senior winner Colin May, who has moved up a category to take on the might of Gary McCrae, John McCaffery, Alan Lamont and event co-organiser Franco Porco (Leslie Bikes/ Bikers Boutique). From the crowded and manic start, McCrae soon dispensed with the attentions of May and Glasgow United's wrecking crew of James Melville, Hans Forhaug and Stevie Jackson, and set into a race pace that saw him lap almost half the field before race end. 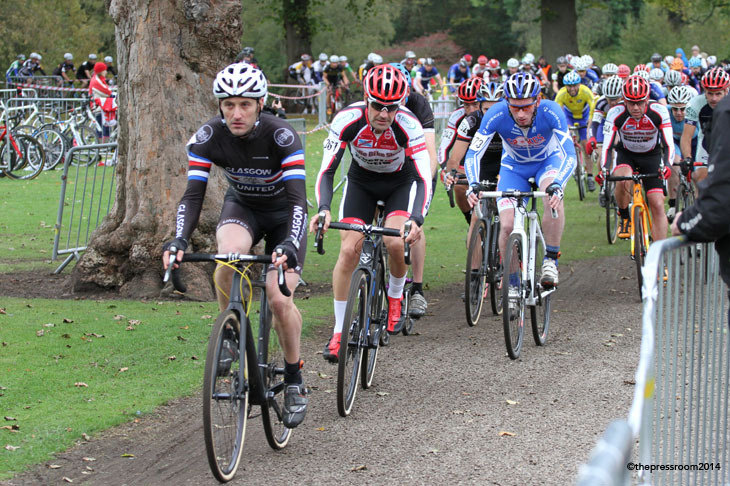 Twenty seconds down was an impressive Colin May who divides his time between cycling and driving one of Edinburgh's trams, and a strong ride from Forhaug who was top United rider on the day. The Veteran 50/Women/Junior race which is run as a split category saw Brenden Roe (Leslie Bikes/Bikers Boutique) have to work hard after a fall to see off the attentions of Alastair Dow (Ronde), who really took the race to the reigning Scottish Champion, and an impressive ride from Malcolm Dunlop (VC Edinburgh) secured the final podium spot. The fastest Juniors though, would end up first across the line in this race in the shape of Andrew Vettraino, with local rider Jamie Mason having to give best on the day. Really worthy of note though are the lap times of these Junior riders; both of these lads are more than capable of riding in the Senior class with distinction. 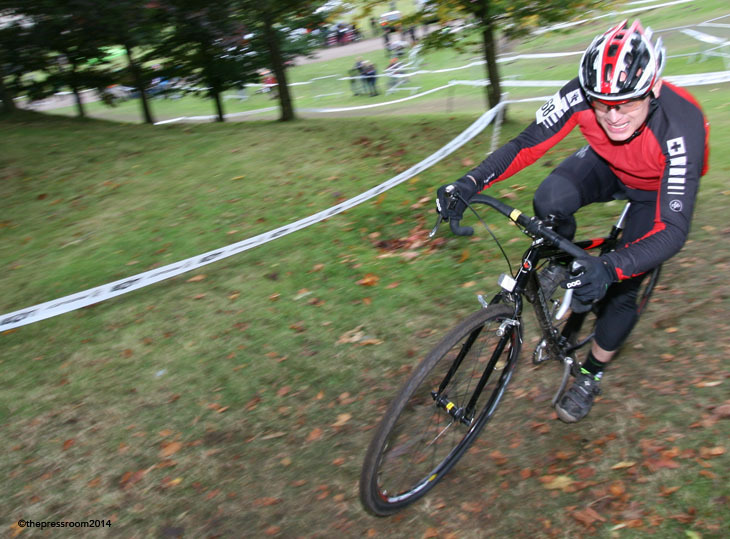 In the Women’s class, Anne Ewing (WV Breda) added some International flavour to the race by putting the hurt into a twenty eight strong field who took to the parcour. Ewing, fresh from stage racing in Ireland was soon in charge of the class and finished comfortably in front of Kerry McPhee (Rock and Road), another rider with a fine pedigree in International racing both having represented Scotland at the recent Commonwealth Games, with the last spot on the podium going to the impressive Lucy Grant (Peebles CC), winner of the Tweedlove Sprint earlier this year. In the Veteran Female category, a fine ride was had by former Scottish Time Trial Champion Sian Tovey (www.Dooleys-Cycles.co.uk) who is looking like a rider to watch this year for overall honours. The Kids and Youth events, also had a fantastic turnout in all the classes; it is such a heartening sight to see the future stars of cycling, having a safe and well organised arena to ply their skills in the setting of the park and Central Region. 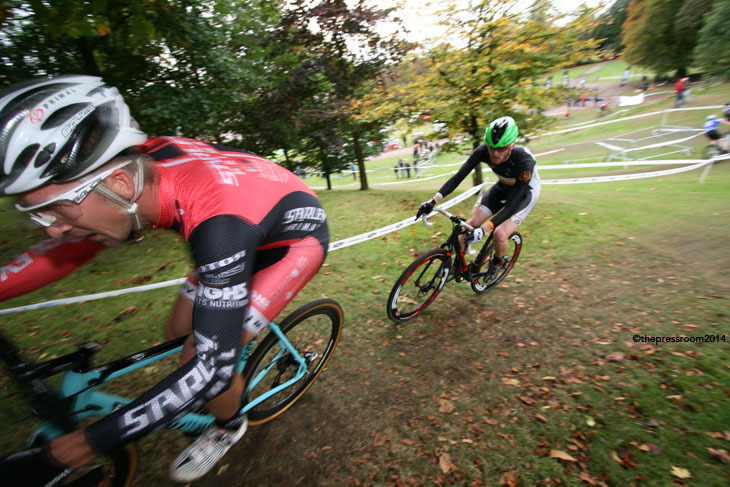 After all the mud had stopped flying, the organisers were quick to acknowledge the continued support of Ridley, Lazer Helmets and Madison, who really have enhanced cyclocross in Scotland. 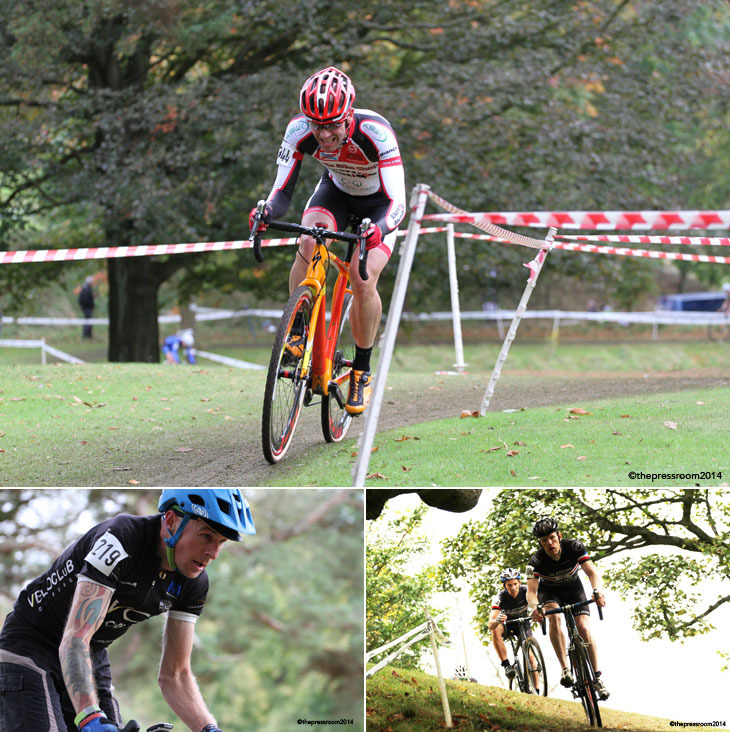 Additional race sponsors on the day in the shape of Sufferfest Training, Wheelsmith, Andrew Wilson at Visual Fit, Soigneur Embrocation and Grange Kitchen are worthy too of mention in supporting grass roots cycling events. There is also a lot of credit due to the team at Falkirk Community Trust who have liaised with a great team of ground staff to help put on what many see as the best ever event held in Scotland. 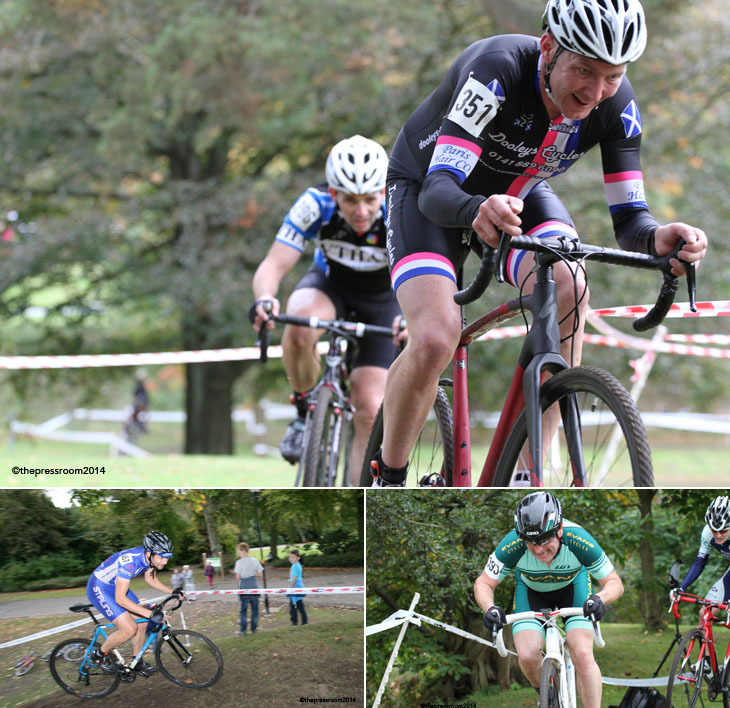 Next up is Round 2 at Strathclyde Park…see you there!